Seed to Feed started in the hearts and minds of two local agricultural businessmen who wish to remain anonymous. This project was literally engineered by faith. These two men soon became 30, and then 45 people, all in service to God. They wanted to find a way to address the issue of local food insecurity and build a model that anyone could copy, nationwide or internationally, to end local hunger. The idea is to grow fresh, unprocessed vegetables for our food pantry and others in Elkhart County, and eventually make it part of a training program, parallel to Soup of Success, that educates and empowers them. 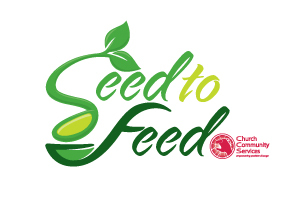 Together, taking care of our community… and Seed to Feed was created. Everything in this project was donated. The land, farmers to plow the fields, seed to plant, fuel for the tractors, weed killer and fertilizer, the labor—all donated. In its first year, Seed to Feed yielded 25,941 pounds of fresh produce. That produce has been distributed by CCS to ten different agencies throughout Elkhart County and St. Joseph County. Clients have enjoyed a variety of fresh produce. We also harvested 40 acres of corn and 18 acres of soybeans to sell. Money raised from that sale is being used to continue to build the foundation of the Seed to Feed program, to expand the scope of what we do, and will also be used to purchase additional food for the food pantry. This is the story behind Seed to Feed. We will continue to document events as they happen, but one thing is sure, it’s the Lord’s work. 2013 Update: Seed to Feed is taking off! We are expanding in several directions as more and more people want to be involved! We will have 4 gardens this year, expanded acreage with the cash crops, a livestock component, more ways for farmers to be involved, and three educational programs. Click here to read about Seed to Feed's presentation to Sound of the Environment in Goshen, by the Elkhart Truth.